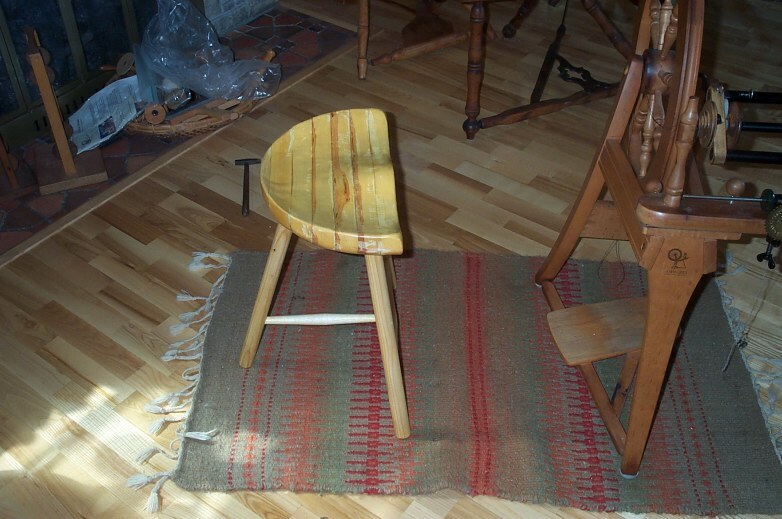 The chairs are handmade from various soft- or hardwoods. 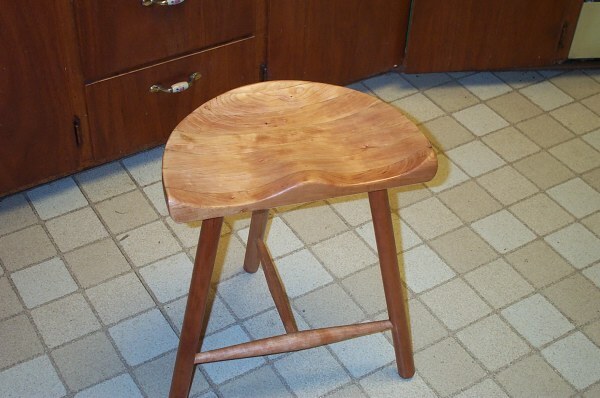 The seat is about 2 3/8" thick, 16" wide and 9 3/4" deep. 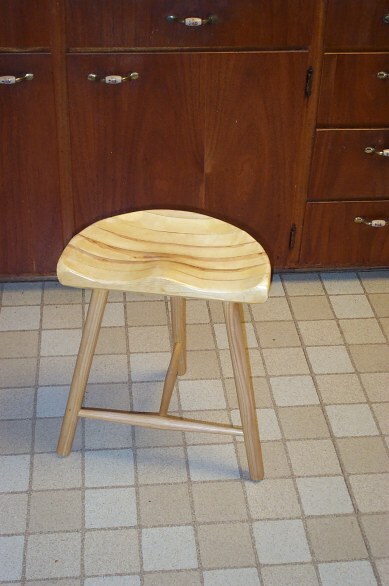 The seat form is dished out about 1 1/8" deep and formed to support your body well. 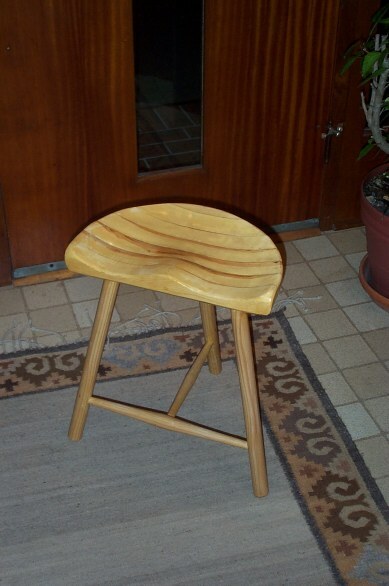 The seat is tilted 3 degrees forward, which straightens out your spine. 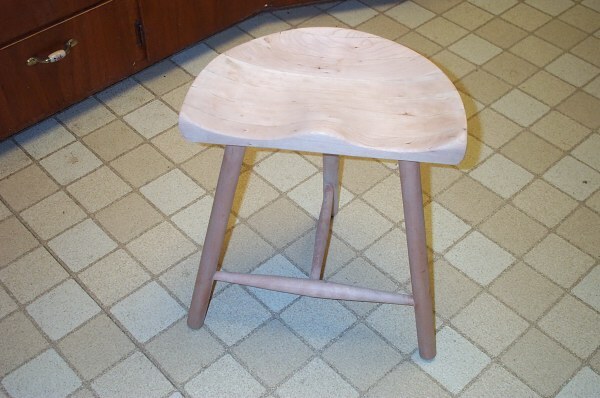 The three legs are 1 1/4" round dowels, which support the seat about 18.5" off the floor. The legs are glued into fairly deep holes in the seat underside and tied together by two rungs to prevent the legs from spreading outward. 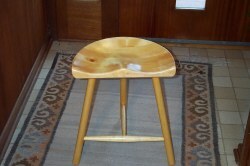 The weight is about 4 pounds for one made from white pine and 6.5 pounds for a cherry chair. Load capacity of the chair is about 220 pounds. Note: oiled only for hardwood. Shipping and Handling: about $30.00 to $45.00 depending on weight and shipping distance. Wisconsin Residents: Please add 5.5% Sales Tax.